While Veere Di Wedding marks Kareena Kapoor Khan’s first motion picture after Taimur Ali Khan’s birth. 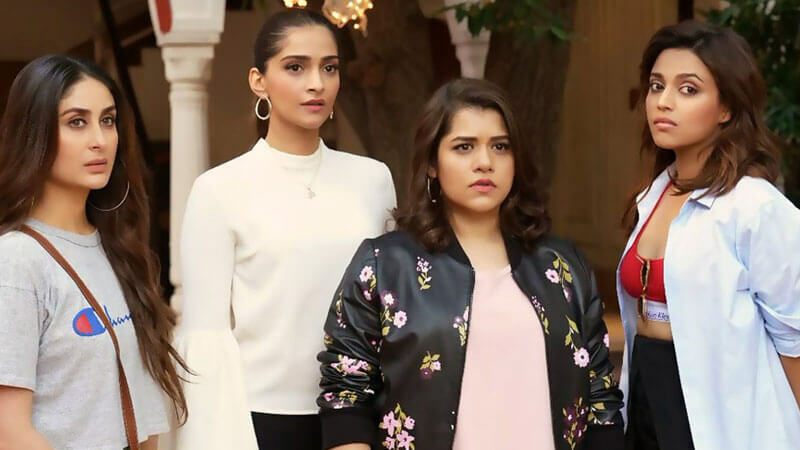 The film unites the most stellar cast of performers including Sonam Kapoor, Swara Bhaskar, and Shikha Talsania. Veere Di Wedding likewise stars Permanent Roommates fame Sumeet Vyas as Kareena Kapoor’s lover. 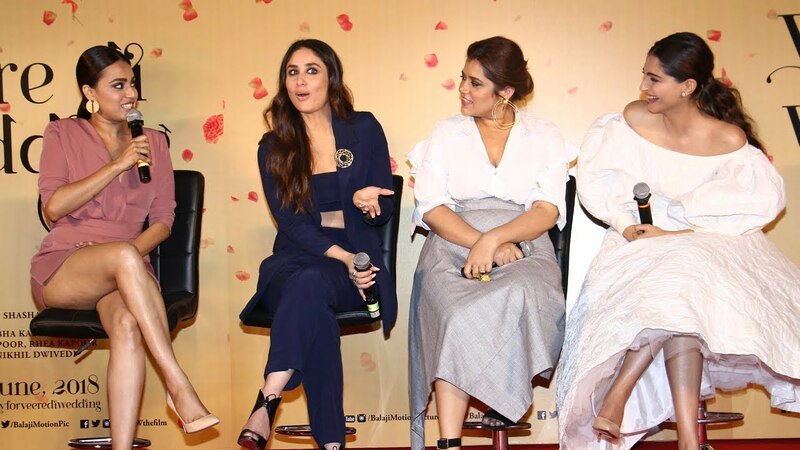 Veere Di Wedding Sonam Kapoor Kareena Kapoor Veere Di Wedding is a story about growing up rotating around the lives of four besties. 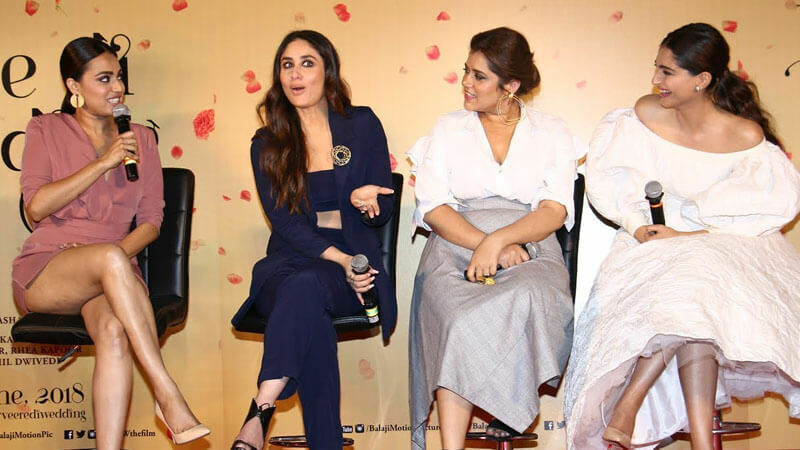 The Veere cast has been out promoting the film as a fun loving girlish movie and not a ‘romantic comedy’ or one which takes the cudgel of women’s liberation. Sonam Kapoor told in an interview that, “Veere… talks about gender equality in a very entertaining way. It is a female-driven film, but it is not about women empowerment or anything like that. It is celebrating four people, who are women. The idea is to reach a point where we are not discussing that there are four women in the film. We should be discussing that it is such an entertaining film. I wish we come to a point that it becomes normal to have a film with all female cast,”. This is a Shankha Ghosh movie, the same director who gave us ‘Khoobsurat’ in 2010. the movie had Fawad Khan and Sonam Kapoor and did well on the box office. 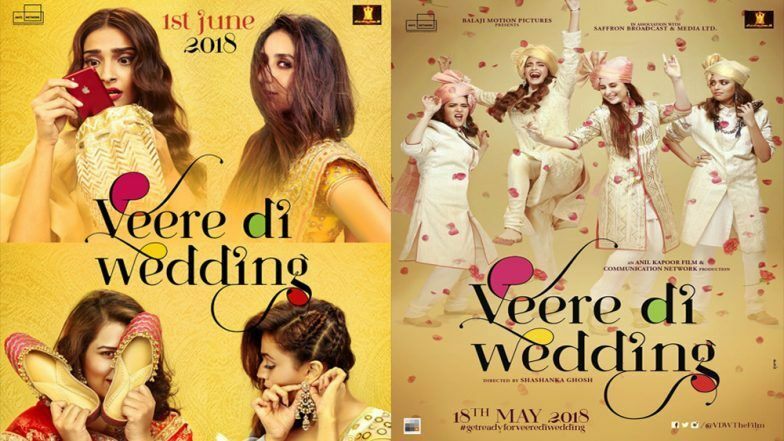 Something else that has inspired numerous movie lovers is the cool soundtrack of Veere Di Wedding. It has Badshah’s “Tareefan” and Arijit Singh’s heartfelt voice in “Aa Jao Na,”. Fans on YouTube are going gaga over the tracks. 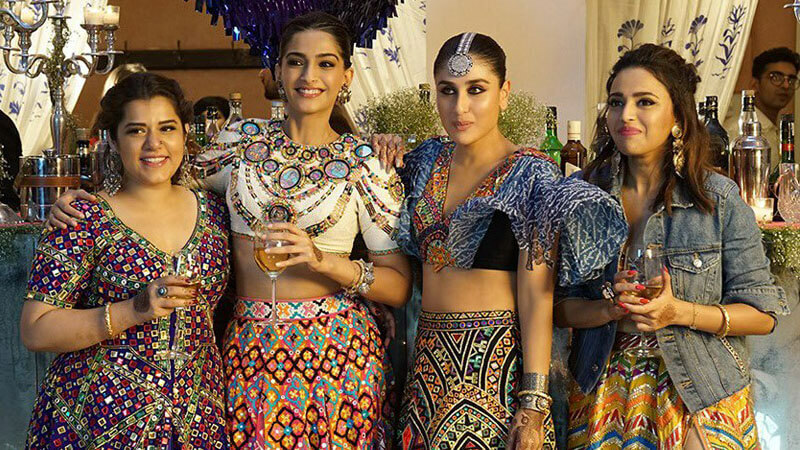 While Sonam and Kareena have been prevalent for their fashion decisions, the movie advancements drew out the stylish symbols of Swara and Shikha also. 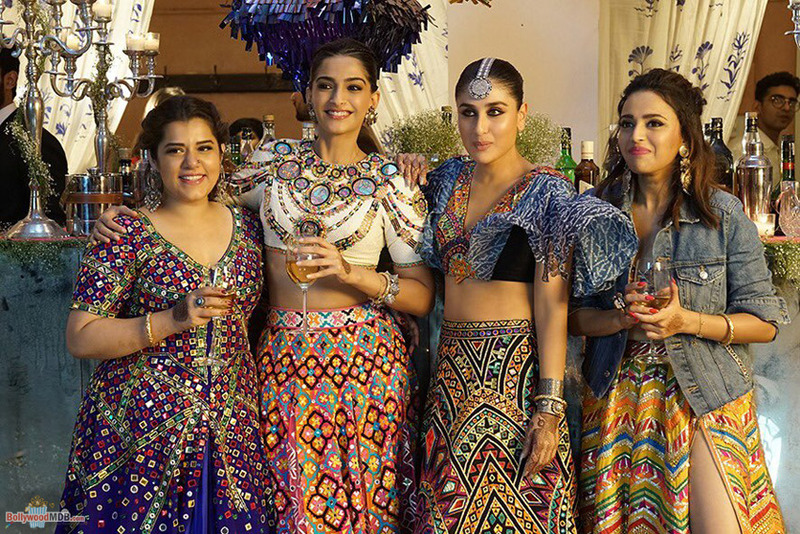 Go.. have an affair time viewing these four females and their messed up lives in ‘Veere di wedding’. 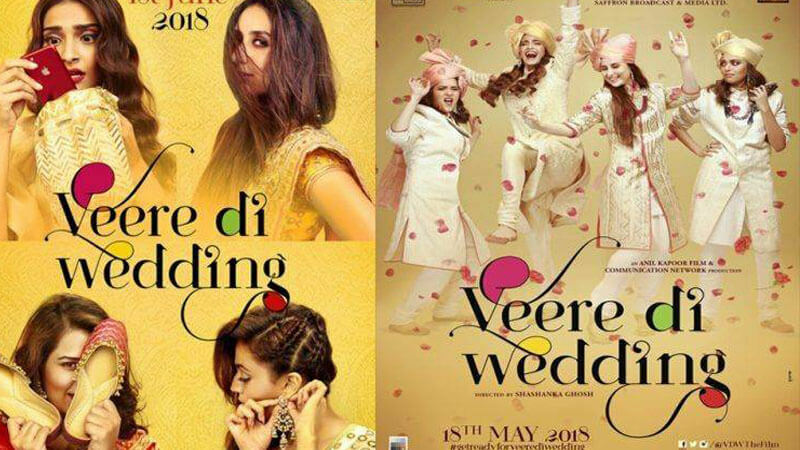 Check out the reviews of Veere Di Wedding. Also, see some very bold actresses who broke stereotypes outside the industry here.